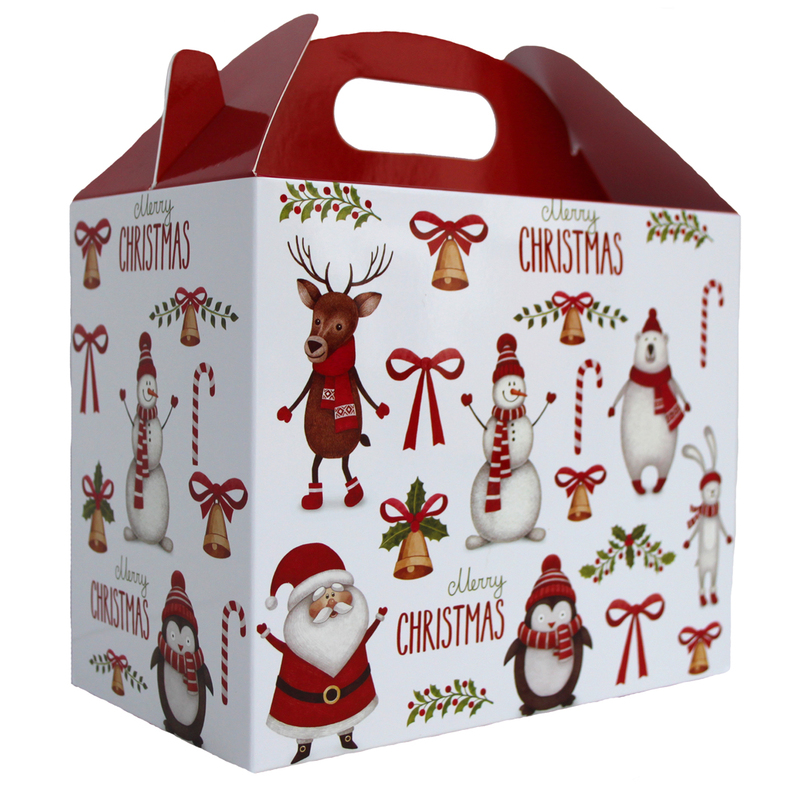 Pack of 10 Gable Boxes made from cardboard with a printed festive design of classic Christmas characters scattered across a white background. 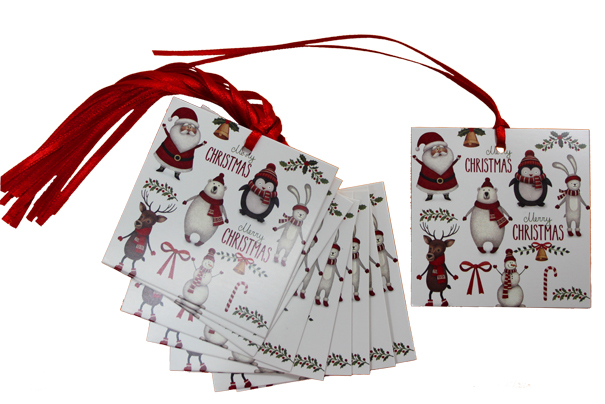 With Santa, Rudolph, penguins and snowmen, these are perfect for Christmas Gift Hampers. Each gable box is made with a crash lock base making it quick and easy fold into shape. Once folded the gable box has a handle hole measuring 6cm wide by 2cm high. 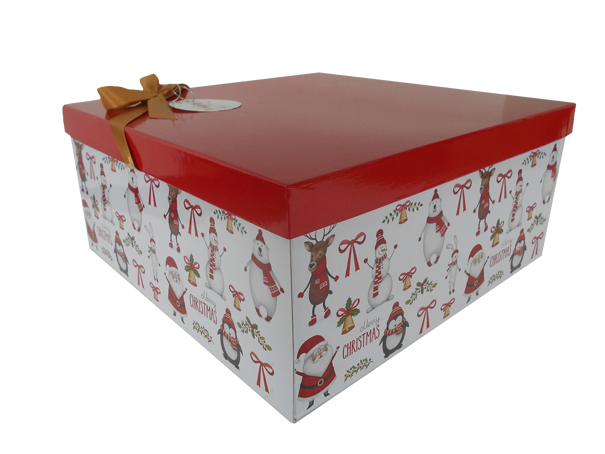 Measurements are 17 x 10 x 14cm high to top of container space (20cm overall height).